Thomas Jefferson Lafayette ''TJ'' Bowie, 92, of North Little Rock passed April 11, 2019 at his home. TJ was born in Enola to the late William David Bowie and Effie Agnes Bowie on January 1, 1927. He is preceded in death by his loving wife of 61 years, Mary Ellen Akin Bowie, his parents, ten brothers and one sister. 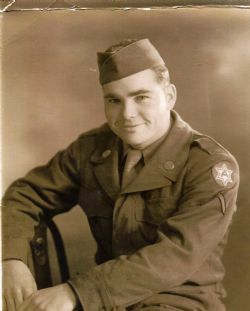 A veteran of World War II, he retired from the Arkansas National Guard as a Sergeant First Class. He also retired from the Army Aviation Support Facility at Camp Robinson where he worked as an Aircraft Mechanic and Aircraft Technical Inspector for 30 years. A member of Graves Memorial Baptist Church, TJ was an overall wearing aircraft and car mechanic, volunteer fireman, carpenter, farmer, jokester and grand storyteller. He was a 32nd degree Mason and Past Grand Master of Masonic Lodge #764, as well as a Shriner. As a member of the Arkansas National Guard, he stood guard at the State Capital during the civil unrest in 1957. He took care of his family by always making them his first priority. Generous to everyone he knew while even more generous to those he did not know, he did God's work quietly behind the scenes. He was the epitome of Christ's Beatitude, ''Blessed are the poor in spirit, for theirs is the kingdom of Heaven''. TJ believed in the beauty and power of the common man, always believing himself to be one. However, he was anything but common. 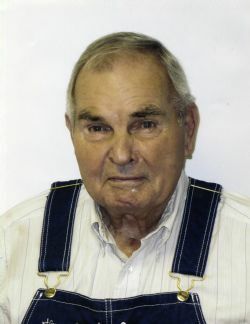 TJ leaves, to cherish his memory, four children and their spouses: Thomas Lynn and Deborah Ann Bowie of Jacksonville, Christopher Gorden and M Lois Bowie of Conway, Mary Kathleen Steelman of Benton, and Sandra Gail and Steven Burris of Mayflower; eight grandchildren, Christina Roachell, Amie Rudd Robyn Maxwell, Stephany Barnette, Sarah Roldan, Dustin Tacker, Jeff Bowie, and Ashley Maxwell; thirteen great-grandchildren, Adison Rudd, Rylee Barnette, Christian Roachell, Caiden Rudd, Kierstyn Roachell, Brody Tacker, McKenzie Barnette, Chloe Maxwell, Boston Bowie, Avery Tacker, Dane Maxwell, Weston Bowie, Lillian Roldan, and a host of extended family and friends. The family would like to thank his Caregivers Janice Cooper, Barbara Banks, Robyn Maxwell and Jeannette Mohl for their loving care over the last seven years. Visitation will be held Sunday, April 14, 2019 from 2-4pm at Roller-Owens Funeral Home, 5509 JFK, North Little Rock, and funeral service will be held at Graves Memorial Baptist Church, 4617 Oak Grove Rd, North Little Rock, Monday, April 15, 2019 at 10am. Burial will follow at Edgewood Memorial Park.